The tail-wagging fun has yet to stop this summer! These past few months have been jam-packed with exciting activities and the pups and kitties are loving it – especially the mild temperatures, which have made outdoor playtime even more enjoyable. We were curious to find out what your pets have been doing all summer long, so we held our “Paws” for Summer Fun Photo Contest from July 21 to August 10. We saw so many adorable pictures of pups lounging by the pool and on the porch; basking in the sun out in the backyard; cooling off in the shady garden; playing with the garden hose, Frisbees and chew toys; and taking a bubble bath to clean up from a long day of outdoor fun. 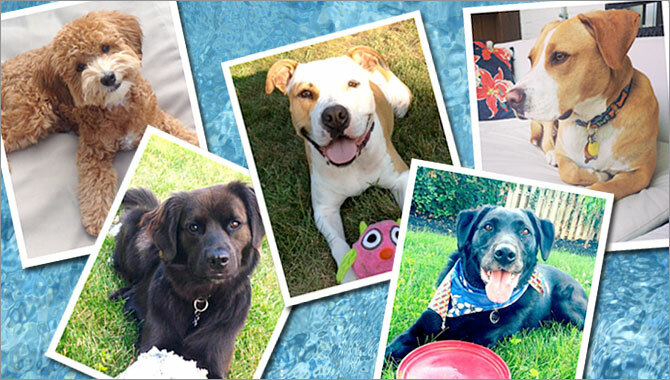 Our furry friends just love to soak up the summer fun! When your pets are not at home spending fun in the sun with you, they’re enjoying lots of summertime activities with us here at Purr’n Pooch. 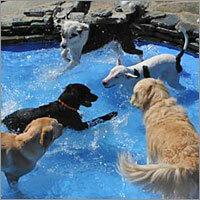 Splashing and paddling around in our freshwater pools is a favorite for the pups. This summer we added a new and exciting amenity to our Wall location – an indoor pool for aquatic water exercise. It’s already a hit! When it’s time to wind down, the pups relax in the shade on the playground or in our air conditioned suites. They also enjoy playing with KONG® toys filled with frozen peanut butter and treats. The kitties are purrfectly content basking in the sun near the windows and playing on the jungle gym, rock walls and waterfalls. We’ve celebrated quite a few birthdays and other special occasions with private and monthly parties, featuring Jodes Happy Tail yogurt treats for dessert – a sweet treat! On Saturdays, we have our training and agility classes, which take place both indoors and outdoors. Book your pet’s summer fun with us soon! Our swimming pools are open through mid-September and sometimes longer depending on the weather. Call us in Tinton Falls at 732.842.4949 or in Wall at 732.528.8100. When your pet is not visiting Purr’n Pooch or at home playing in the backyard, take him or her out on the town! 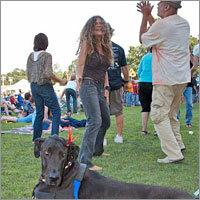 There’s plenty of dog friendly events happening around the area. Here are just a few in Monmouth County, NJ. Get out and enjoy the dog days of summer! SAVE THE DATES FOR EVENTS & PROMOTIONS! Tuesday, March 4 at Tinton Falls and Wall ~ 7 a.m. – 7 p.m.
Mardi Gras games, parade and treats on the playground with friends. We’ll also have a traditional Mardi Gras “Fat Tuesday” King cake (for pups). Who will be the lucky pup to find the prize inside? Games and treats on the playground. 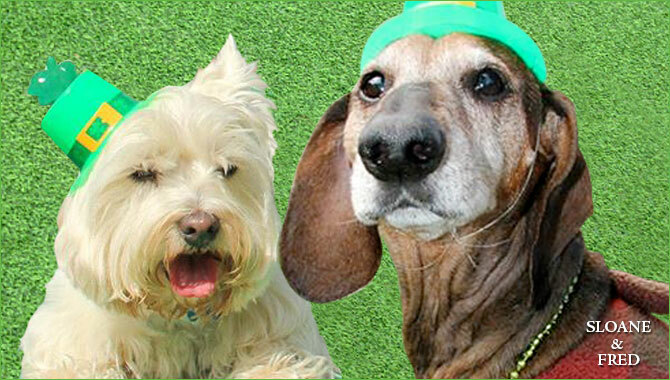 Monday, March 17 at Tinton Falls and Wall ~ 7 a.m. – 7 p.m.
Purr’n Pooch celebrates the luck of the Irish! 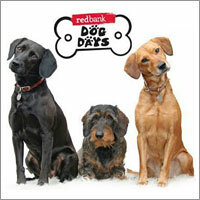 Dogs and cats in boarding, daycare and our spa and grooming salon will dress is green and enjoy treats. There may just be a few lucky dogs and cats who also discover gold (bones) for prizes on the PNP playground and cattery. Purr’n Pooch to host a very special evening with friend Dr. Ian Dunbar, world renowned Veterinarian, animal behaviorist, and dog trainer. This is a people-only workshop nd suitable for both dog owners and dog professionals. No dogs please. This workshop has been approved for 6 CEUs by the CCPDT & IAABC. Group Discounts available: 10% discount for 5 or more; 25% discount for 10 or more. Email info@jk-pub.com to set up a group discount. Following the workshop, Purr’n Pooch Pet Resorts will host a Q&A with Dr. Ian Dunbar to benefit the Purr’n Pooch Foundation for Animals. The intimate evening is a special opportunity to speak with Dr. Dunbar about your specific dog training and behavior problems. Light refreshments will be served. At the event, we will also present the Purr’n Pooch Foundation for Animals’ 2013 Grantees with their grant awards. Does your pup or kitty have the luckiest life in the world? We want to see just how lucky they are! Post fun pics of your friend enjoying the fur-fabulous life! The photo with the most votes on Facebook will win a free day of play (boarding or daycare) and assorted treats. Contest starts March 10. Last day to enter photos is March 16. Voting starts March 16 and ends March 23. Visit us on Facebook to enter. Winner must pickup their prize at Purr’n Pooch in Wall or Tinton Falls. Ask our groomers about creative grooming. Designs include shamrocks and green dyed tails and ears to celebrate the lucky month. Our competitive rates are based on the breed and condition of your pet’s coat. Express service is available upon request and availability. Grooming services can be made by an appointment, or added to any boarding or daycare package. To make an appointment, call 732.842.4949 in Tinton Falls or 732.528.8100 in Wall. Be sure to visit our website at on the 15th and last day of the month for blog posts with pet care tips and trends. This month, we’re talking cats! Is it okay to leave your cat home alone overnight? Find out what the experts say on our blog. Tuesday, March 20 ~ First Day of Spring! For more information, call 732.842.4949 or email info@purrnpooch.com. This holiday Purr’n Pooch Pet Resorts at both locations in Wall and Tinton Falls are collecting donations for U.S. Military Working Dog Teams who have been deployed to the Middle East. We need your help in supplying them with gifts. The Purr’n Pooch Foundation for Animals will host a volunteer working day on Saturday, January 18, 2014 at 2 p.m. at 86 West Gilbert Street in Tinton Falls, NJ. The general public and Foundation supporters are invited to write letters to the dog handlers and prepare their care packages for shipment. If interested in volunteering or for more information, email info@purrnpooch.com. Visit the United States War Dogs Association for ways to help the organization throughout the year. 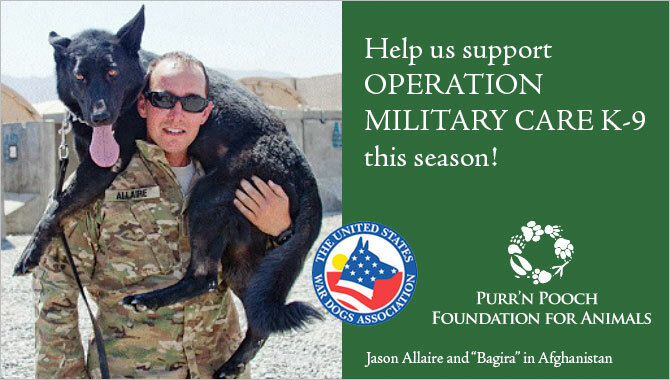 Operation Military Care K-9 is one of its many wonderful projects. Also be sure to visit the organization’s US War Dog Memorial. Dedicated on June 10, 2006, the Memorial, located guarding the gateway to the New Jersey Vietnam Veterans’ Memorial in Holmdel, New Jersey, consists of a bronze statue of a kneeling Vietnam War soldier and his dog, set on a black granite base. The memorial was designed by sculptor Bruce Lindsay. The U.S. War Dogs Memorial, while directly representing the War Dog Teams of the Vietnam War, honors all our nation’s war dogs and their handlers – past, present and future. K-9 Grooming Tools-Combs, Brushes, etc. Please note that we will only be accepting dog food and treats that are made in the U.S.A.
With Halloween quickly approaching the safety of your children is top of mind. But you should also be aware of the dangers to your other babies as well — the pets. Your family may plan to bring the pups along for some Trick or Treating fun and include them in your howling festivities so you should be mindful of Halloween hazards. Adults and children alike should know the dangers that costumes, noise, candy and decorations pose to our pets. If your dog or cat doesn’t seem to mind dressing up there are plenty of costumes available for purchase and made specifically for pets. From the scariest of ghouls to the cutest fairy princesses, you’ll find the costume that’s just the right fit for your pet’s personality. Some of our favorites over the years have included a pirate, pumpkin, devil, sailor, Princess Leia, and even Huge Hefner. Our Halloween doggie daycare parties are always a blast with a costume contest and games like bob for bones and chase the ghost. 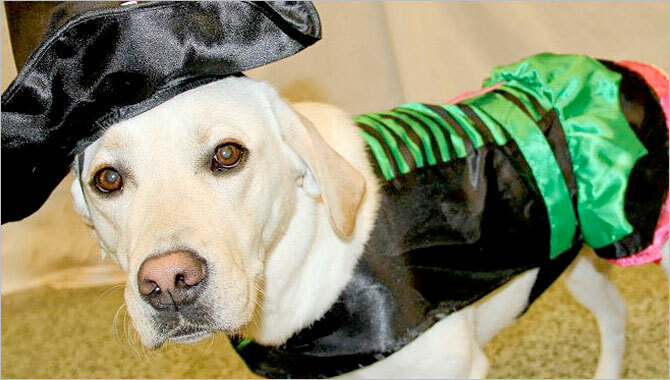 How do you tell if a costume is right for your pet? You can tell if your dog is uncomfortable in his costume when he exhibits certain uncharacteristic behaviors like excessive panting, whining, and cowering. Basically, if your dog acts strange and looks uncomfortable, you’ll want to skip the costume and maybe try sporting something else like creative grooming tattoos or festive fall sweaters, leashes, collars and bows. Purr’n Pooch’s groomers and retail staff can help you to choose the right tattoo design and Halloween accessories for your pet. And, as far as your cat goes, you’ll know right away if he prefers wearing costumes or not. You may also have the scratch to prove it! If you’re ambitious and decide to create your own pet costume, avoid using anything that is toxic or hazardous to your friend’s health. Many paints and glues have harsh chemicals that could irritate a pet’s skin, eyes and nose. If you take your dog out with you to Trick or Treat around the neighborhood, be sure to keep him on leash. If your pet is shy or anxious around people and new experiences, it’s probably best to have him spend time in a quiet space at home or bring him to doggie daycare with friends at Purr’n Pooch for the day. Know his personality and tolerance level before participating in activities that would bring on unwanted behavior such as jumping and barking. If your scaredy cat or dog is overwhelmed by the frightful faces, costumes, and doorbell ringing, watch him carefully for a sneaky getaway during the flurry of Halloween activity. Before your pet gets spooked and runs away, take precautions to ensure his safe return home by always having him wear ID tags with all of your contact information. Microchips are also great and should your dog lose his tags and be taken to a local shelter or veterinary office and easily scanned for identification. The ASPCA’s Animal Control Center experiences a 39% increase in calls involving poisoning from candy exposure during Halloween. The calls are often cases that could have been avoided if the pet owner was aware of the dangers of Halloween candy and decorations. Most dog owners know about the hazards of chocolate and pets, but there is another lesser known and potentially fatal toxin in candy, gum and baked goods called xylitol. This natural alternative to sugar can send dogs into seizures with just a tiny amount. The actual candy isn’t the only threat, its wrappers can be just as enticing and deadly. Cats love the shiny crinkly wrappers for play, but when ingested the aluminum foil or cellophane can cause intestinal blockages that could lead to death if untreated. Your dog could also be attracted to your large decorative jack-o’-lanterns on display in your house. This could mean disaster for your family if the lantern is lit by a candle’s flame and knocked over, causing a house fire or burning your pet. Instead, protect curious paws and your house with LED candles that will not pose a threat to your family. 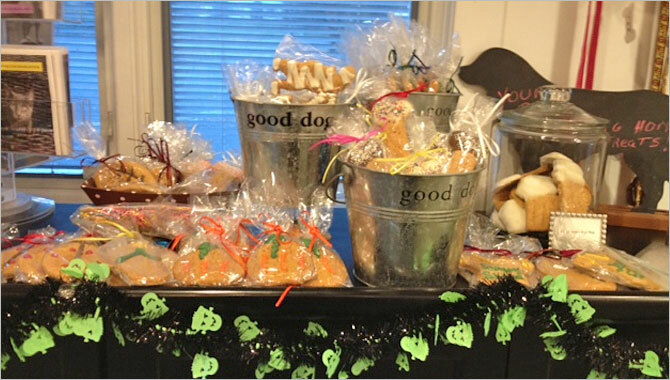 For the pups in the neighborhood that will be Trick or Treating with their owners, don’t forget to have treats available to handout. And if you’re looking to surprise your pup with an extra special Halloween treat, Fat Murray’s peanut butter mummies and pumpkins are available for $2.25 each at Purr’n Pooch’s retail boutiques in Wall and Tinton Falls, NJ. Now that we covered the dangers, let’s have a safe, howling good time! Join Purr’n Pooch for a doggie daycare Halloween Party on Thursday, October 31 from 7 a.m. to 7 p.m. The winner of our costume party at daycare will win a hydrotherapy bath. We are also hosting a photo contest on Facebook. Post your pet’s pic on our Facebook wall and enter to win. The pet picture with the most likes by Nov. 15 at 10 p.m. wins a bath! Have questions about our doggie daycare packages, call Purr’n Pooch Pet Resorts in Tinton Falls at (732) 842-4949 or Wall at (732) 528-8100.